9/1 We went to the Wilmington Canyon today and had a great day. 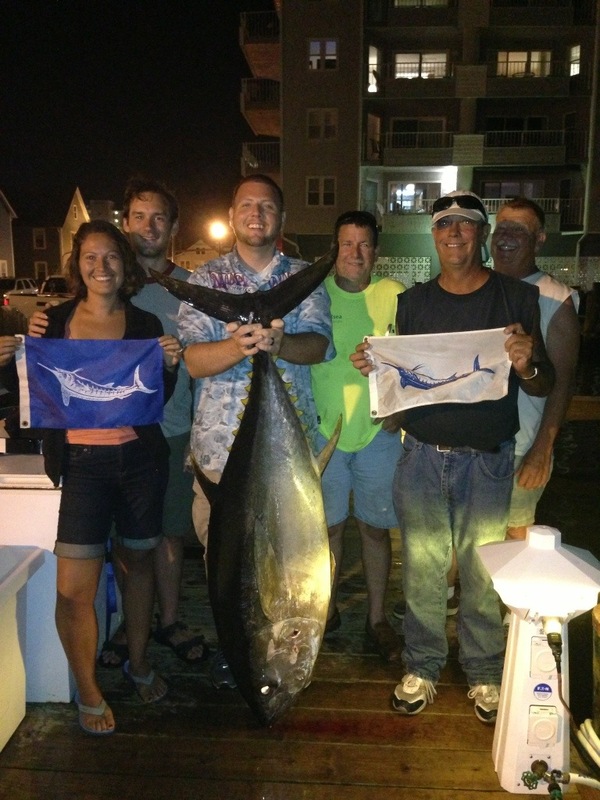 Jessica Sloan caught and released a White Marlin, Bob Walls caught and released a Blue Marlin and a group effort landed a 180 pound Big Eye Tuna. Aaron Banker (one of our White Marlin Open Anglers) spent the most time fighting the fish but allowed Bob Allwang a d Logan to do battle with the fish. Jeff Smith did battle with a Big Eye last time out so he was just standing by – at least that’s what he tells me. Great day had by all and Capt Wayne and Rambo did an outstanding job as usual – at least that’s what they tell me.